Welcome to the most exciting change to Clash of Clans in over two years! Players have waited two and a half years since the Town Hall 11 release to see such a massive shift in the game. After years of new Town Hall levels, troops, spells and Heroes, 30 months is a significant amount of time to make the community wait for another level. However, all of that changed this past week as a truly massive update hit the game, leaving players across the top range of Town Halls with months, if not years, of upgrading, strategy development and enjoyment. In this post we look at all of the changes introduced in the June 2018 update, as well as initial thoughts on the impact those items will have. In future posts we will dive deeper into the Electro Dragon, Town Hall 12 upgrade order, Siege Machines, new attack strategies, and more. The new Town Hall isn’t just a new level to unlock more offensive and defensive upgrades. At Town Hall 9 we received X-bows, Town Hall 10 the Inferno Towers and at Town Hall 11 the map spanning Eagle Artillery. TH12 isn’t any different, except that the new defense is the Town Hall itself. Now when the Town Hall is attacked a Giga Tesla rises through the roof to strike down enemies. 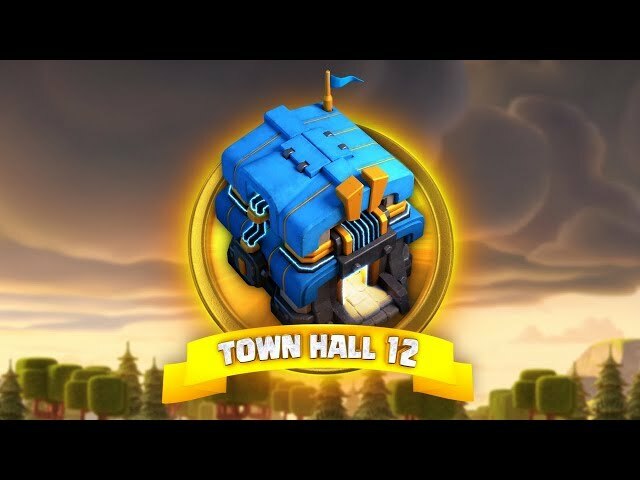 Town Hall 12 can be upgraded five times, increases the target ability of the Giga Tesla. Thus, as level 12-5 the new defense will take attack 5 different troops at once, at 200 damage per second. Upon destruction of the max level Town Hall the Giga Tesla turns into a bomb and delivers additional damage to surround troops. Just like the Town Hall itself, it has been over two years since a new troop was introduce to the game, outside of events. Enter the Electro Dragon. The big brother of the dragon family, with a massive lightning attack that can damage up to five buildings at once! Levels 1 and 2 are available at Town Hall 11, once the Barracks is maxed out, with Level 3 (max) available once you reach Town Hall 12 and the level 10 Laboratory. At 40 housing capacity, these beasts are costly but highly effective at funneling. 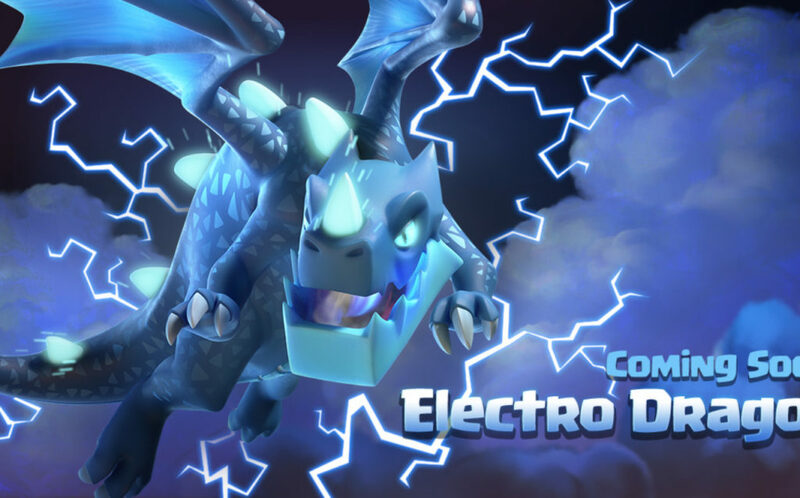 The cons are that the Electro Dragon has slow movement, takes a while to target and strike, and uses up 40 spaces in your army camps. Their strengths are that they can damage multiple buildings at once (again think of funneling), can soak up a lot of damage, and upon death deal a final lightning strike on the surrounding area. 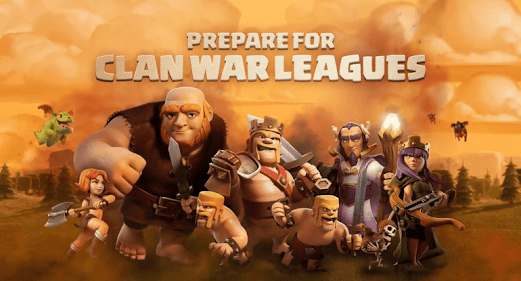 Introducing a brand-new element to attacking, especially Clan Wars. The Siege Workshop builds new creations that allow you to deliver troops right to the enemy Town Hall. 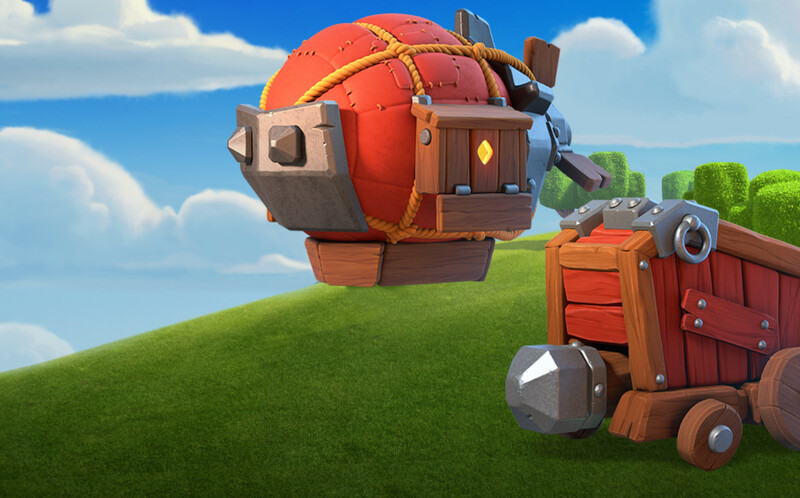 At the launch of Town Hall 12 the workshop can produce two Siege Machines – the Wall Wrecker and the Battle Blimp. Think of them as Trojan Horses that carry your Clan Castle troops in a straight line to the Town Hall. The Battle Blimp flies through the air until it either reaches the Town Hall or is destroyed, at which point the Clan Castle troops are deployed. The Wall Wrecker serves not only as a tank but guarantees at least one set of walls its destroyed helping improve pathing, saving camp space (without wall breakers), and possibly spell space (without an extra jump). Unfortunately, only Town Hall 12s can create these new offensive beasts, but they can be donated to Town Halls 10 and 11. However these won’t be the only Siege Machines, as the Workshop has space for 7 different creations. Look for new machines to come out before the end of 2018. Town Hall 12 brings with it an entire new suite of defensive levels, as well as upgrades to critical village buildings. All four Army Camps can be upgraded to increase the max army size to 280. Additionally, the Clan Castle can be leveled up once more and now hold 40 troops. That’s a total of 320 troop capacity + the Siege Machine. However, six new traps can be purchased and added to a Town Hall 12 village. All of these are quick adds, and upgrades, have one builder focus on getting all of these up to max level. Finally, 100 of the 300 wall pieces can be leveled up to the new max, electric blue, walls (13). In order to reach these new max level buildings all storages receive new levels that should be prioritized towards your first few weeks at Town Hall 12. As always focus on your war attack troops first. 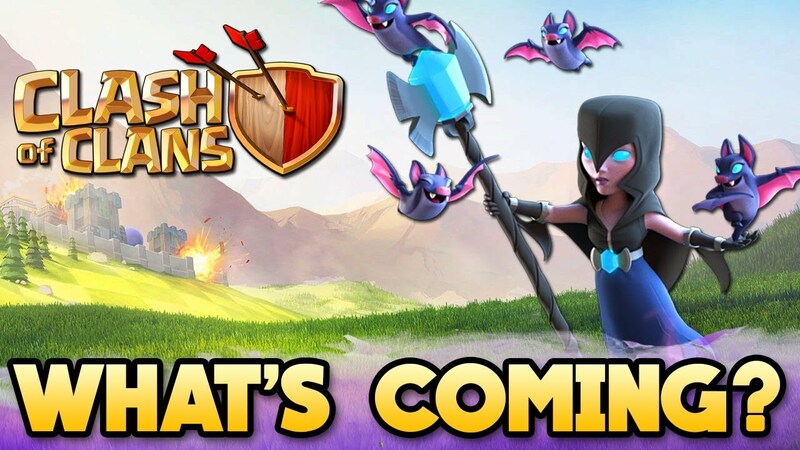 All three heroes receive 10 additional levels at Town Hall 12, bringing the Barbarian King and the Archer Queen to a staggering 60 levels, while the Grand Warden can not reach level 30 and a 6 second aura of invincibility. 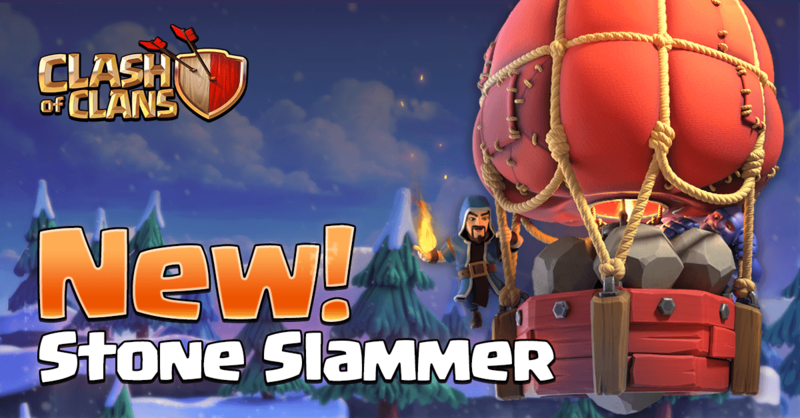 The biggest spell change comes to Freeze and will have a big impact on war attacks. Housing space has been reduced down to one (but it is still an elixir spell) and the costs cut by 50%. However, the length of time for each Freeze is shorter. This offers the chance to carry an odd number of Freeze Spells, or even donate to lower levels. Two key strategic advantages from the change (1) You can split two freezes over two defensive areas at once or (2) If you miss on your first target (i.e. Eagle or Inferno), you now have a second chance to halt its damage. The Lightening Spell across all levels received a small increase in damage. Still yet to find it’s perfect place in the game, the Clone Spell also receives a boost. Housing space has been dropped to 3 and the cost cut by 25%. The number of troops cloned is also reduced by 25%, meaning just like the Freeze the precise timing of the spell is critical. The Inferno Tower and Bomb Tower both see an increase in damage dealt. Poor Golems use to receive three times the damage from the Eagle Artillery. Add that on top of the fact that most war bases now use Single targeting Infernos and the troop is rarely worth is housing space. That extra special attention from the Eagle is now leaving the game. The Healer sees an overall reduction as part of Town Hall 12. It was one of the few troops not to receive a new level, and also has it’s healing impacted decreased at the top levels level four and five healers healing ability was reduced about 10%. This impacts not only AQ walks but highly effective attacks like the BoHeWi. In a recent update the Miner received a nerf and faded out of favor. The miner is back! Speed has been increased by 60%. If you haven’t already start practicing mass miners with a queen walk, with a focus on spell timing. Giants, Dragons, and P.E.K.K.A.s received a minor increase in hit points at level 7 and 8. The cost of Dragons and P.E.K.K.A.s was reduced. Bowlers damage across all levels was reduced slightly. The damage dealt and hit points for the Witch was increased across all levels. Level 1 received an extra skeleton, while one was removed from level 3. Overall, witches remain a strong troop across available Town Hall levels, especially behind the stronger Giants. How many times have you requested Clan Castle troops for war and log back in just after your Village Guard timed out, losing the troops? Now players have the ability to set their Clan Castle to ‘Guard’ or ‘Sleep’ mode, just like the Heroes. 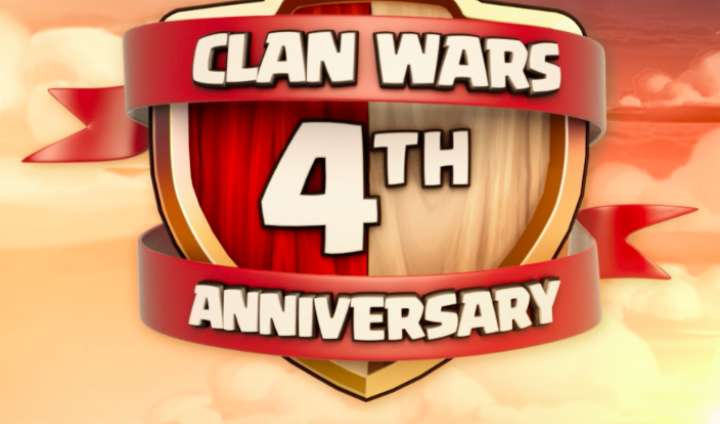 This is a great quality of life change for clans focused on Clan Wars, to be able to use prior to your two war attacks. See a base you like? Copy it! Building a base is an extremely tedious and time intensive process. 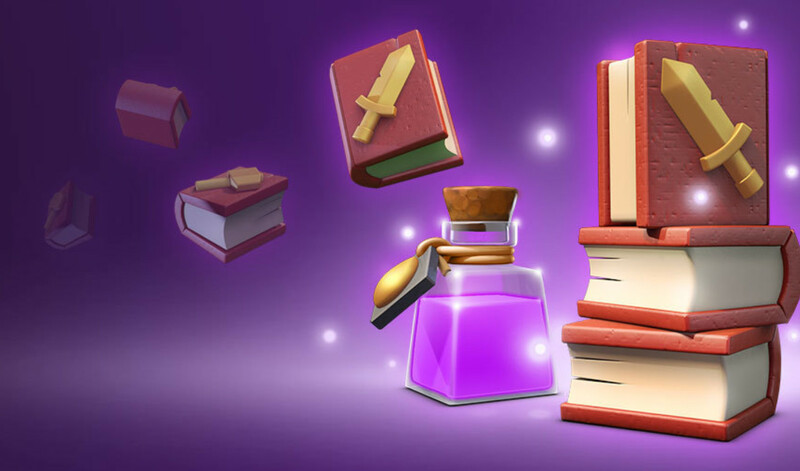 Now, if you like a clan member’s base you can copy it – as long as they are within one level up or down of your Town Hall. This is a great feature for Home Village designs that are proving strong in protecting resources. However, be careful copying and using an effective war base design too many times, as once the opponent breaks the design it’s then easy stars on multiple bases. Seriously, there is still more content that we haven’t gotten to yet. Here is a quick summary of additional changes in the June 2018 update. The Super P.E.K.K.A. had its death damage explosion decreased across all levels. The maximum storage capacity for gold and elixir is up to 12 million at Town Hall 12, and 240K for dark elixir. Walls for Town Halls 5 through 10 have been reduced. Daily star bonuses have been increased, as well as the capacity of the Treasury. Love Clan Wars? Now everyone receives higher rewards, regardless of the result. The winning clans now gets up to 700% more loot, while the losers see an increase up to 300%. Nonstop Clan Wars ahead! You can now share attack or defense replays every five minutes instead of 30. Players can now change their in-game name, beyond the first (free) one. The first name change costs 500 gems and increases by 500 gems each time, up to 10,000. That’s 20 name changes! If you need that many, you should provide spend longer analyzing your name choices and use of gems. Each name comes with a one-week cooldown before the next one is eligible. Congrats you made it to the end! Take a breath. Now starting raiding for more resources. 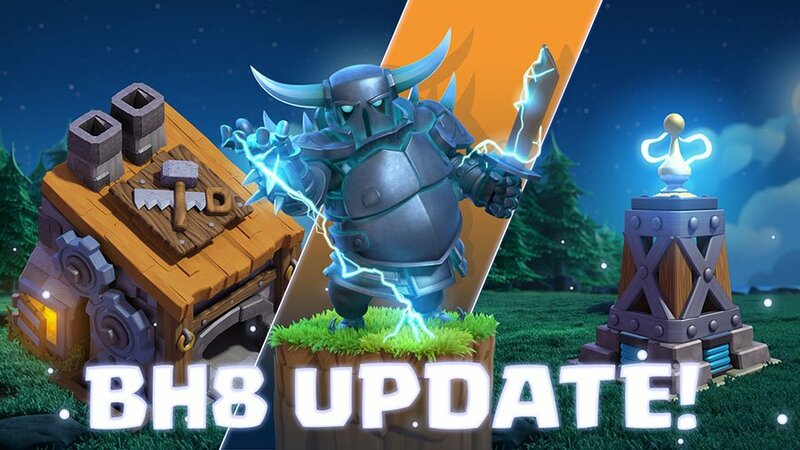 Head back for future content around this update and let us know exactly what you want to see covered in future Town Hall 12 or Clash of Clans posts.